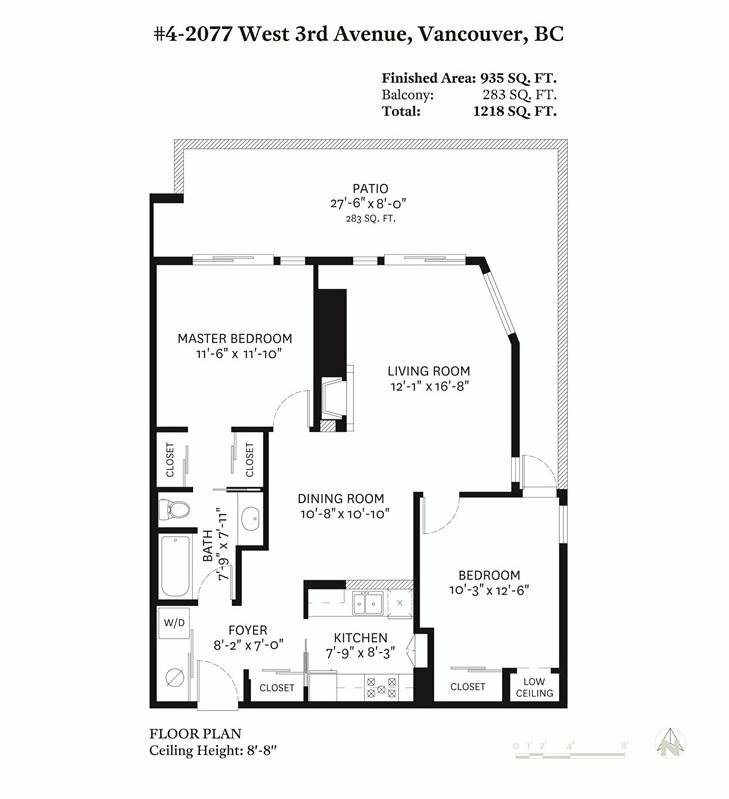 4 2077 W 3rd Avenue, Vancouver - 2 beds, 1 bath - For Sale | Jenny Wun - Oakwyn Realty Ltd. 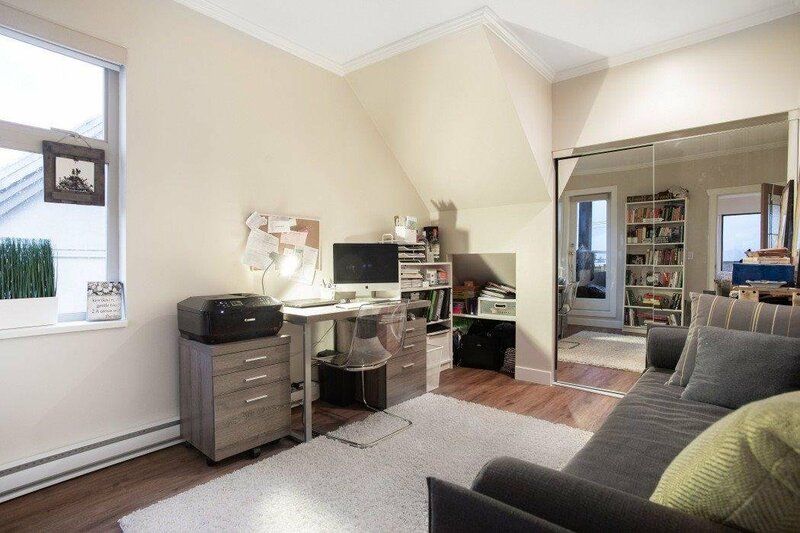 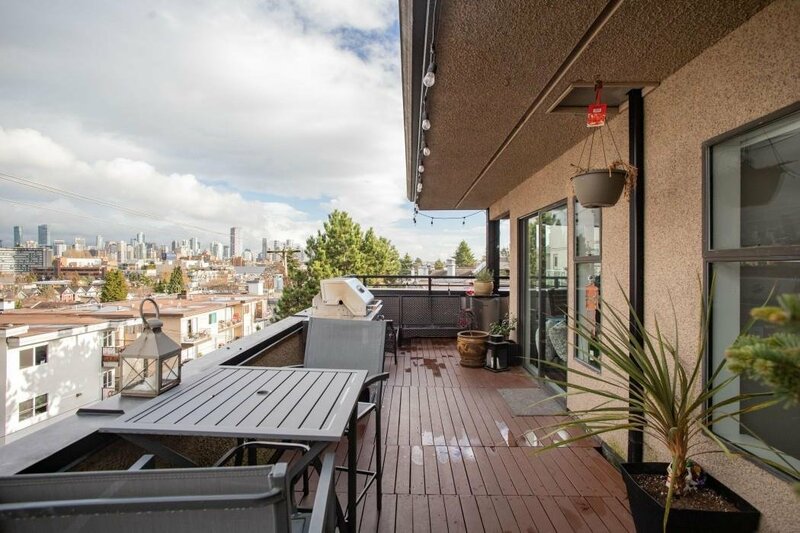 This is rare opportunity to own in one of the city’s most sought after locations North of 4th. 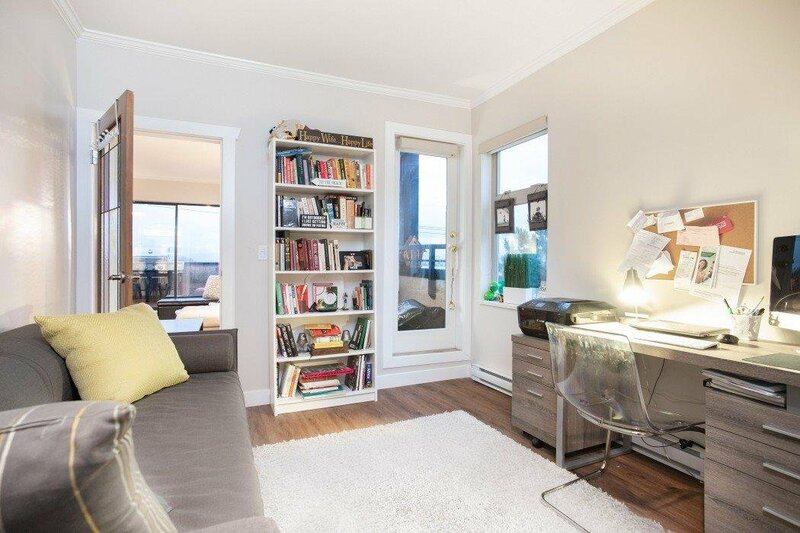 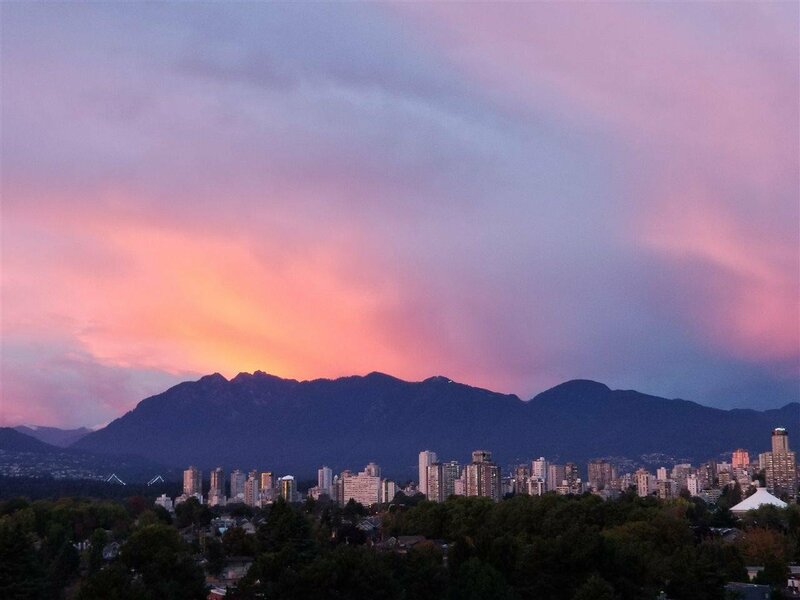 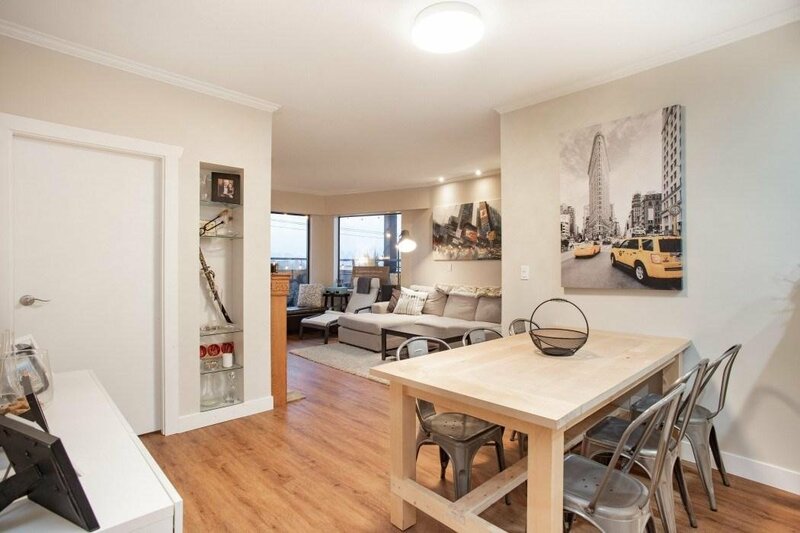 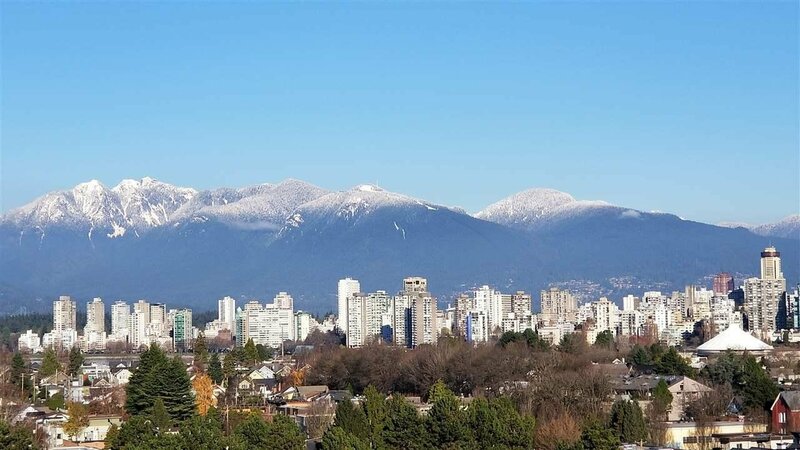 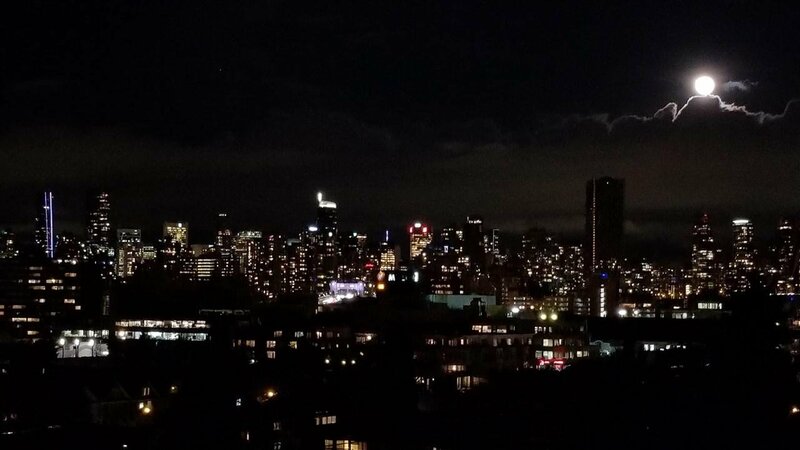 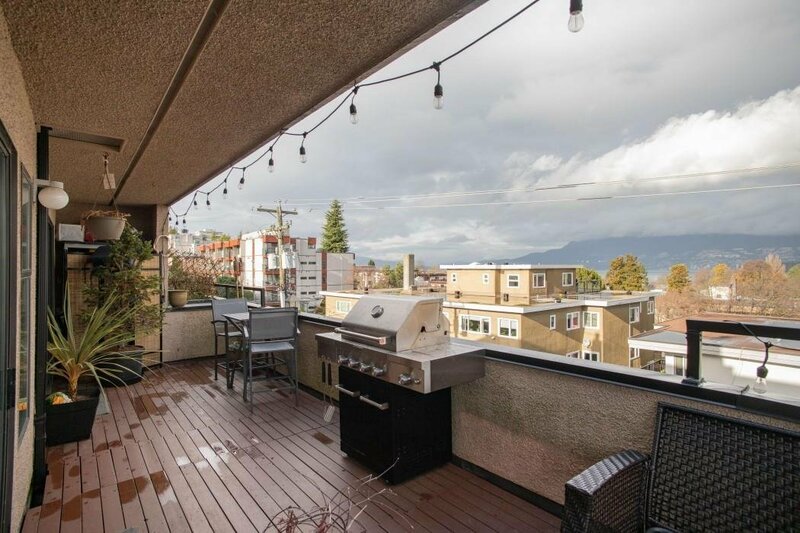 This 935sqft, 2 bed, 1 level corner townhome feat incredible 180 degree 24 hour views of the city, mountains & English Bay. 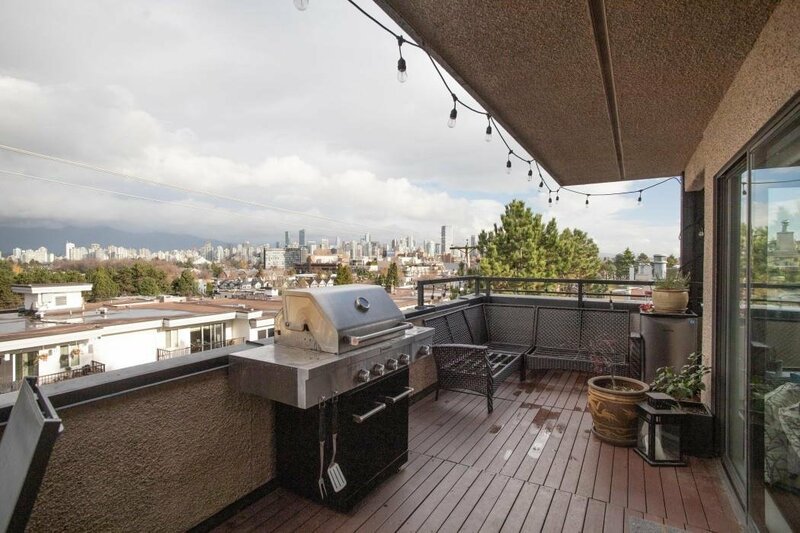 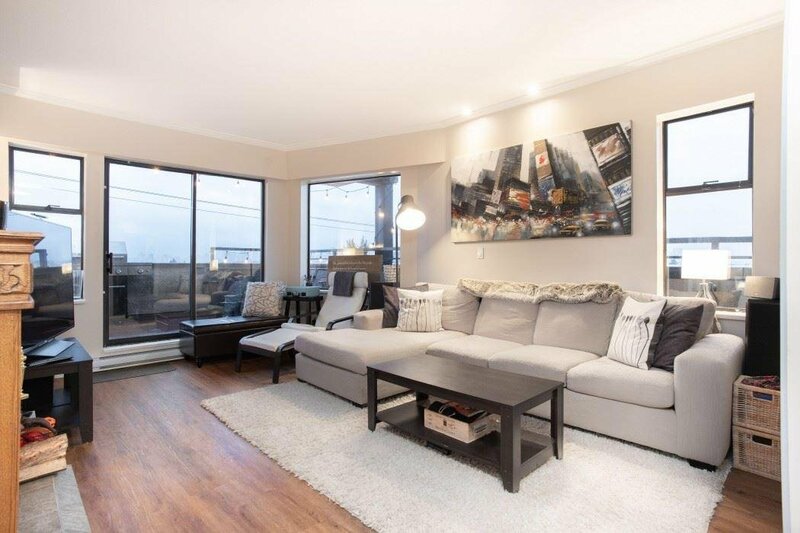 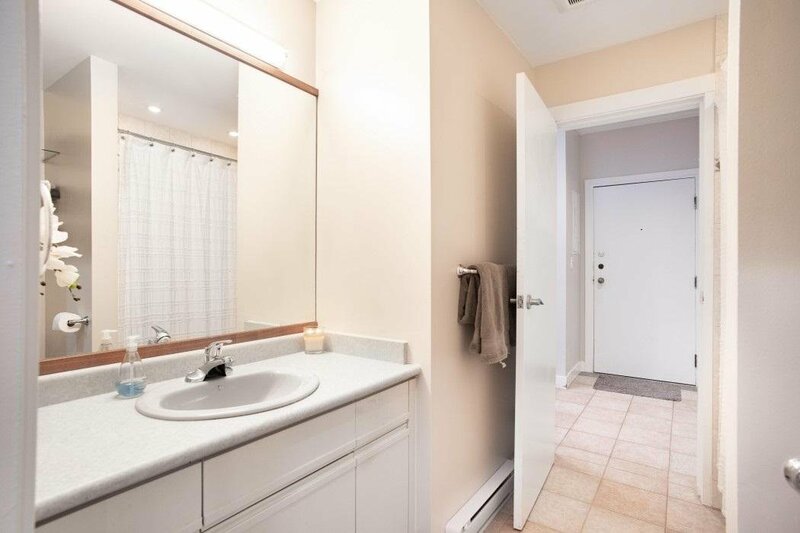 Enjoy the fireworks & entertaining from your 283sqft partially covered private balcony. 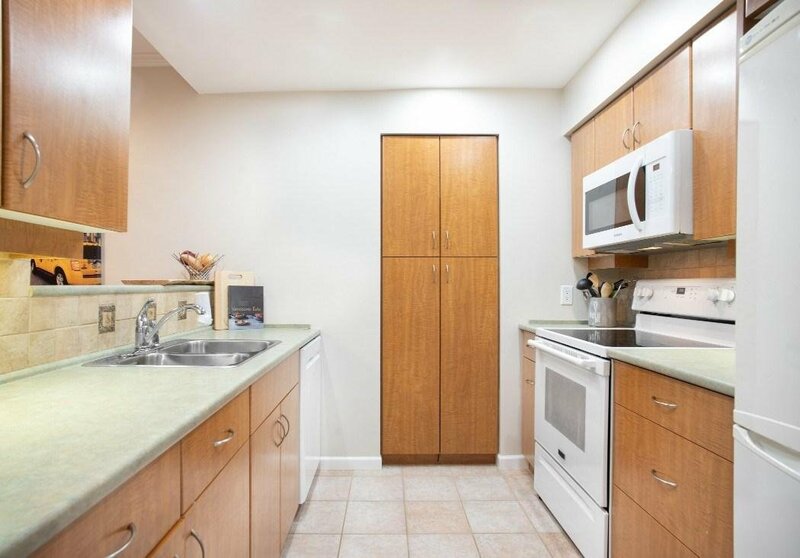 Remodeled in 2017 w/all new flooring, custom paint, upgraded LED lighting, new fixtures & upgraded appliances. 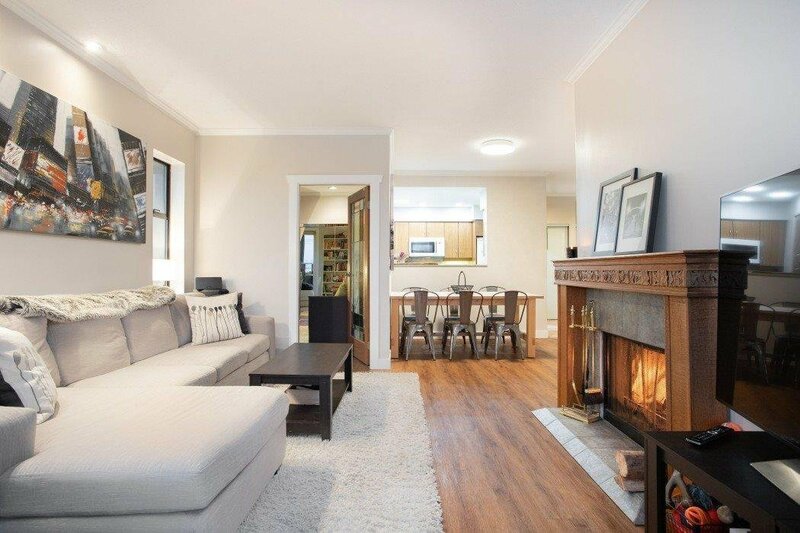 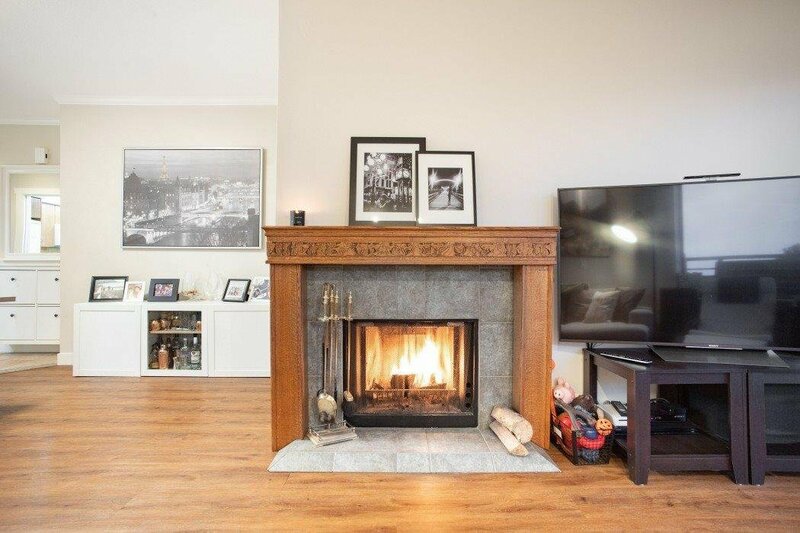 The spacious living room feat a cozy wood burning FP w/custom handcarved mantle & lots of natural light. 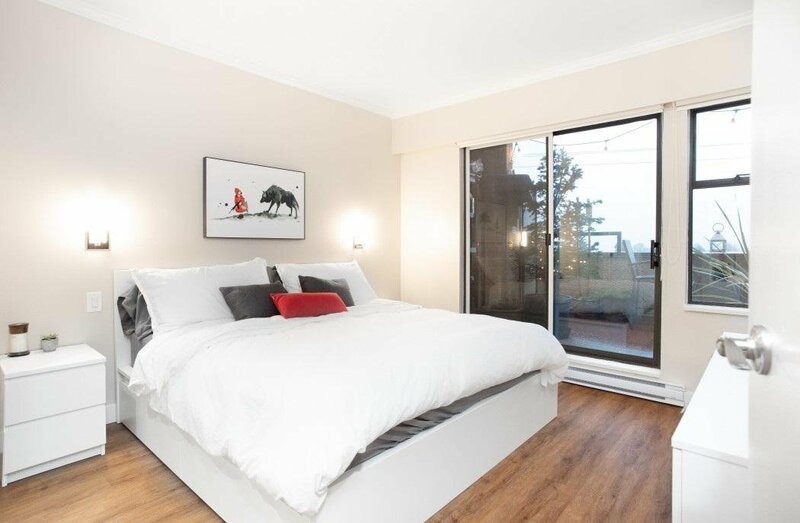 The master bedroom feat an ensuite & both rooms have space for a King Size bed. 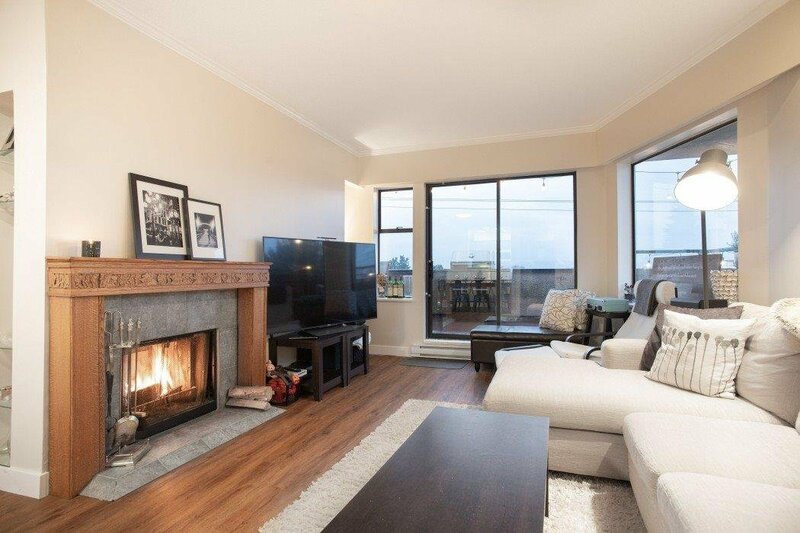 This boutique complex has 12 suites & pro-actively well managed. 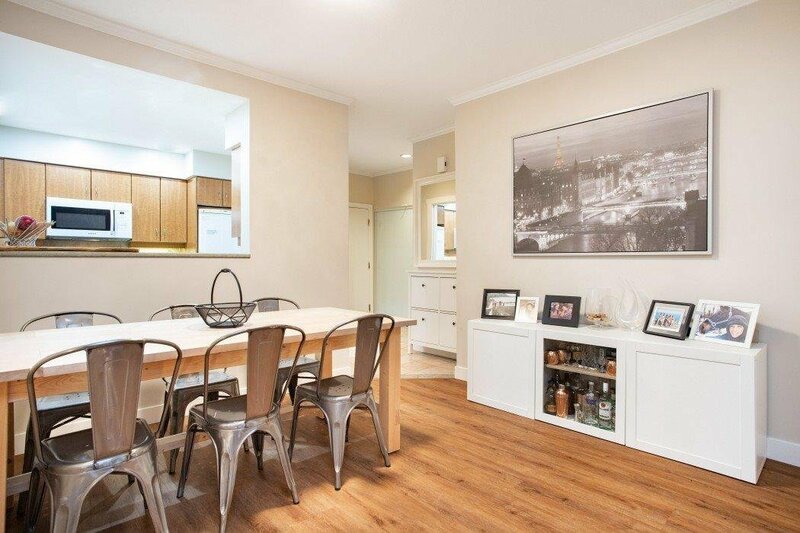 Close to the beach, fitness and yoga studios, cafes, shopping & dining. 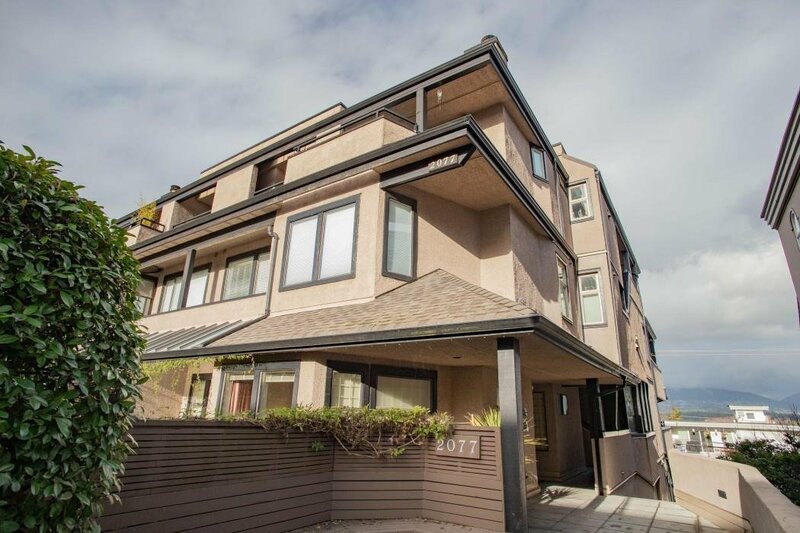 OPEN HOUSE SAT APRIL 27 from 2:30-4pm.